Scare up newest Halloween pastel color fashion trend. 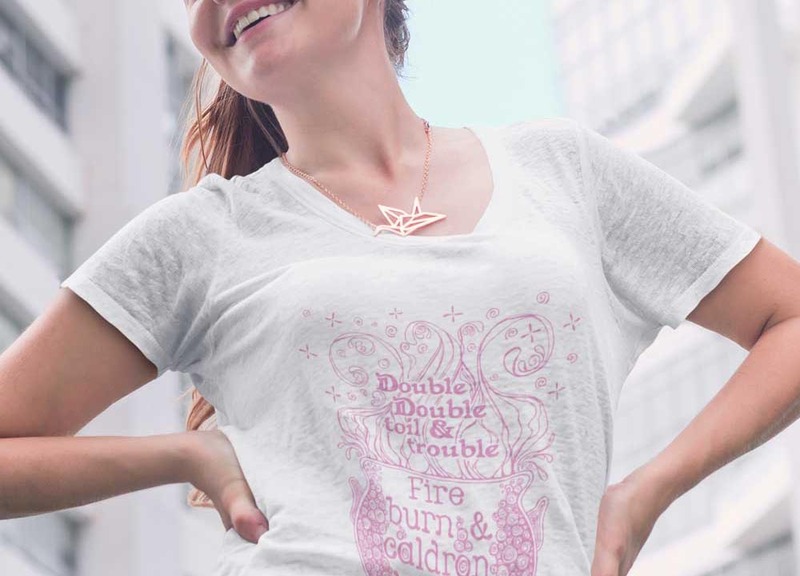 SALEM, Ore., September 14, 2018 – In their newest Halloween collection, Malarkey Pie, an Oregon t-shirt company, brings out the whimsical and witchy in pastel colors for the fall holiday. This collection brings a scarily fresh palette to the fall season for fashion-forward ghouls. It's really exciting knowing that someone loves your art enough to wear it. Halloween is one of my favorite holidays so this launch is really fun. I wanted to be able to connect to women with pretty colors and gorgeous illustrations expressing their fun witchy side. The models we use for our t-shirt line reflect the infinite variety and body-positive beauty of the feminine in all of us. Althea Rizzo began the Oregon-based company as a side hustle to pay off graduate school student loans. It has grown to help support charitable organizations such as the Malala Foundation and Planned Parenthood of Oregon. In her Salem studio, she creates graphic t-shirts and hoodies with a flair for science puns, geek humor and progressive feminist activism. The new product line Witchy Woman is designed to celebrate Halloween in style and comfort and be wearable all year round. “We want people to be spellbound by our designs throughout the year. Our comfortable t-shirts are perfect for wearing in all seasons,” said Rizzo.